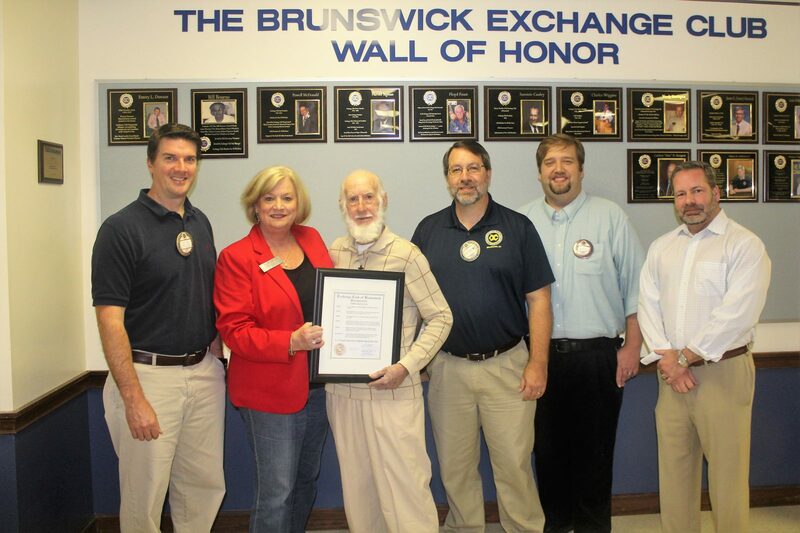 The Exchange Club of Brunswick recently honored long time club member P.J. “Frenchi” Blanchard by renaming their Firefighter of the Year annual program as the P.J. Frenchi Blanchard Firefighter of the Year Award. Frenchi started the Firefighter of the Year program for the Brunswick club in 1967. He is originally from Louisiana and came to Brunswick while in the Navy. After his career was over, he decided to stay in Brunswick and went to work for the fire department. Frenchi held many positions with the Brunswick Fire Department over the years and retired as Chief Fire Inspector. Frenchi made sure that the club always honored the men and women who serve the community for fifty years. When he retired as program chair, the club decided to rename the award after him. In attendance at this special program were member of Frenchi’s family, Georgia District President Hazel Hendrix and representatives from the four fire departments in the community.